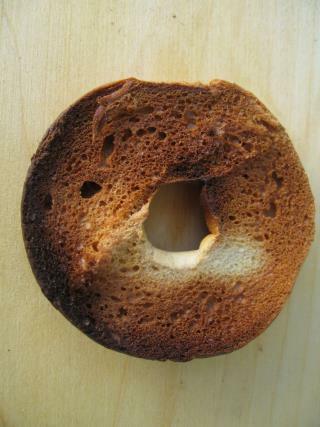 (Newser) – Hundreds of holiday travelers had to evacuate Lambert International Airport in St. Louis Tuesday night for a reason worthy of a sitcom: Somebody burned a bagel. The over-toasting happened about 6pm inside a restaurant in Terminal 2, and the resulting smoke set off alarms, reports KMOV. One traveler estimates that 300 to 400 people then had to vacate the terminal and head outside into frigid temperatures—the AP says it was all of 11 degrees. Pea brained DHS cant think of anything else because the monitor did not tell " CHECK FOR TOASTED BAGEL "...SO BEST THING IS TO EVACUATE THE AIRPORT....thank god they did not evacuate the city !!!! I have mentioned repeatedly that chemtrails doping the atmosphere with weather modification chemicals seem to be causing patches of denatured air that makes it harder for planes to stay aloft. Commercial airlines do what they can to keep flights from going into such region or to permit them to “divert” around such regions. “Accidents”, “incidents”, “malfunctions” on the ground or in the air are often used to keep flights from such areas. A pilot refused to take off because two men aboard were wearing “imam garb”. A flight overshot its destination because two pilots aboard were “distracted”. A South Korea Airlines executive launched into a fit because she was served nuts in a bag and not on a plate. A pilot refused to take off because a young man aboard was wearing low cut jeans that exposed his underwear. Twice in one week there were disruptions aboard flights over someone using a device to increase leg room. A pilot landed at a military airfield, thinking it was the airport he was heading to. A pilot felt that it wasn't necessary to replace a compass device, then, just before taking off, she decided she did need the compass and returned to the gate. An airline terminal was evacuated because a man was running around in a Zorro outfit. A man aboard a flight flew into a tantrum because he wasn't allowed to perform the calisthenics he was used to. A woman caused a flight to be aborted because she thought a fuselage door was the door to the lavatory and she tried to open it. All of LAX was shut down because of a “computer glitch”. Now, in one day there is a case of a jet making a U-turn four hours into a flight because of an “unauthorized passenger”, a flight delayed because of reparations an airline had to make to two blacks who were accused of stealing two blankets from first class, an a terminal shut down because a bagel burned. It was reported later than the individual wasn't unauthorized and had a ticket. Why it took so long to find out he supposedly didn't have a ticket, and why he was accused of not having a ticket when he did is not explained. Los Angeles was apparently the only airport the flight making the U turn could fly to because of aberrant atmosphere around it. Note that people, white and black, likely have taken items from first class before, but this is the first time there was an inquiry when the plane landed, causing the flight to be delayed taking off again. And bagels likely burned in airport shops before, but this is the only time it caused the entire terminal to be evacuated. And just because one flight was not delayed leaving doesn't mean other flights weren't affected, either delaying flights out, or forcing flights coming in to “divert” elsewhere.